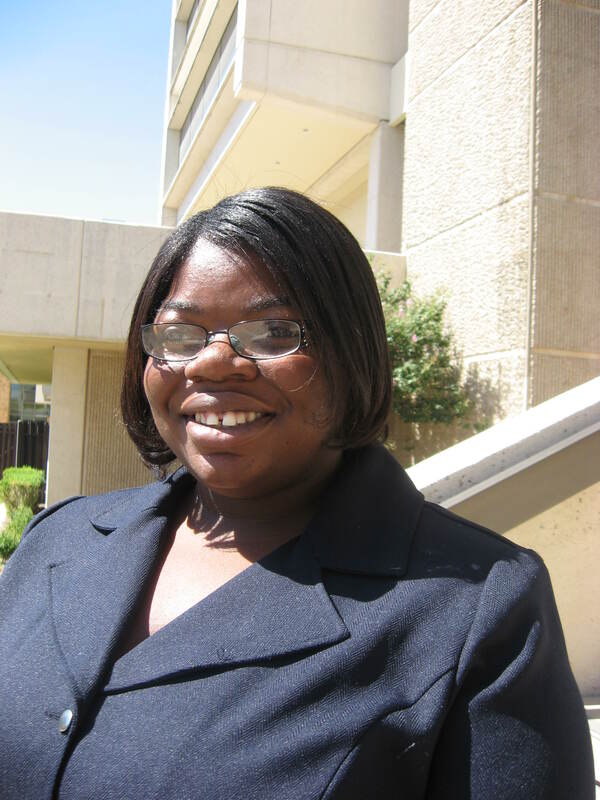 Lajoya Wilburn, a May 2012 graduate of the PVAMU College of Agriculture and Human Sciences, has been awarded the Saul T. Wilson Jr. Internship through the United States Department of Agriculture, Animal Plant Health Inspection Service (APHIS). The internship supports students on track to become a veterinarian, and who desire to pursue a career as a veterinarian within the agency. Miss Wilburn is scheduled to begin vet school at Purdue University in August 2013. Through the internship, Miss Wilburn receives up to $10,000 per year in scholarships, with paid employment during summer and school breaks, as well as receiving other agency benefits. Miss Wilburn’s funding begins in fall 2013 and ends in spring 2017. After successful completion of the Doctor of Veterinary Medicine degree, she may be eligible for permanent employment with APHIS. Since graduation from PVAMU, Miss Wilburn has worked full time for USDA APHIS in Ames, Iowa, where she was a student intern for two summers as an undergraduate prior to being hired, and she completed academic prerequisites at Iowa State University for Purdue School of Veterinary Medicine. This entry was posted on Friday, August 9th, 2013 at 9:01 pm and is filed under Uncategorized. You can follow any responses to this entry through the RSS 2.0 feed. You can leave a response, or trackback from your own site.